Southeast Asia’s airline sector was back in the black in 1H2015, boosted by improved market conditions, slower capacity growth and lower fuel prices. A sample of 16 airlines from the region generated combined operating profits of USD641 million in 1H2015 compared to operating losses exceeding USD500 million in 1H2014. The improvement in profitability cut across virtually every market in Southeast Asia and all types of carriers. Overall 12 of the 18 airlines were profitable or break-even in 1H2015 compared to only five airlines in 1H2014. But operating margins generally remain in the single-digits and lag most other regions. Southeast Asia remains an extremely competitive market with a high risk of continued overcapacity given the region’s huge order book. The 16 publicly traded airlines in Southeast Asia, including affiliates or subsidiaries which report financial figures, turned a combined operating profit of about USD640 million in 1H2015. This same group of airlines incurred over USD500 million in operating losses in 1H2014, representing a year-over-year swing of over USD1.1 billion. Of these 16 carriers, 15 saw their profitability improve in 1H2015. The only exception was Indonesia AirAsia, which saw a slight increase in operating losses following the 28-Dec-2014 crash of one of its A320s. In 1H2014 only five carriers in this group of 16 were profitable. All five – Malaysia AirAsia, Cebu Pacific, Philippine Airlines, Bangkok Airways and SilkAir – were able to further growth operating profits in 1H2015. Note: All figures are for six months ending 30-Jun-2015 and 30-Jun-2014. This grouping of 16 carriers including six AirAsia subsidiaries or affiliates. The original AirAsia-branded carrier, Malaysia AirAsia, was once again the most profitable airline in Southeast Asia. Thai AirAsia was also one of only four carriers with a double-digit operating profit margin along with Malaysia AirAsia, Bangkok Airways and Cebu Pacific. Cebu Pacific had the highest operating profit margin at 20.5%. AirAsia affiliates accounted for all three of the passenger carriers in the above grouping which were unprofitable in 1H2015. Two other affiliates, Indonesia AirAsia X and Thai AirAsia X, were also unprofitable but are not included in this sampling as they are start-ups. Indonesia AirAsia X launched in Jan-2015 and Thai AirAsia X commenced operations in Jun-2014. As CAPA analysed in a 26-Aug-2015 report, all airlines in the AirAsia family collectively incurred net losses of USD67 million in 1H2015. The AirAsia family remained profitable at an operating level but posted a modest improvement compared to the improvements across the broader Southeast Asian airline sector. The CAPA sampling also excludes other Southeast Asian carriers which have reported financial improvements but did not provide sufficient figures to be included in the tally. The Jetstar Group has stated in financial filings that both of its affiliates in Southeast Asia, Singapore-based Jetstar Asia and Vietnam-based Jetstar Pacific, swung from a loss in 1H2014 to a profit in 1H2015. But Jetstar does not provide profit/loss figures for affiliates. Singapore Airlines long-haul LCC subsidiary incurred an operating loss of USD15 million in the quarter ending 30-Jun-2015, representing an improvement compared to an operating loss of USD20 million in the quarter ending 30-Jun-2014. But Scoot is excluded from the sampling as figures for the quarter ending March have not been provided as the Singapore Airlines (SIA) Group only began reporting Scoot figures in the most recent quarter. All of SIA Group’s airline subsidiaries, including the parent airline, have seen their operating profits improve although the group overall is still not nearly as profitable as it was several years ago. Vietnam Airlines was also profitable in 1H2015, reportedly turning a pre-tax profit of USD20 million. But Vietnam Airlines is excluded from this sample as it has not yet been listed on the stock exchange in Hanoi or Ho Chi Minh despite completing an initial public offering in late 2014. Malaysia Airlines (MAS) is also excluded as it de-listed in late 2014 and has not provided any financial figures since the quarter ending 30-Sep-2014. In 1H2013, a group of 16 Southeast Asian airlines that includes MAS but excludes Bangkok Airways (which became listed in Nov-2014) turned a combined operating profit of about USD400 million. This indicates the Southeast Asian airline sector has fully recovered from the turmoil of 2014. As CAPA previously highlighted, market conditions in Southeast Asia began deteriorating in 2H2013 as capacity growth accelerated while demand in some markets started to slow. Conditions continued to worsen in 1H2014 due partially to political instability in Thailand and a slowdown in the Indonesian economy. The overcapacity issue peaked in 2014 and remains a problem in some Southeast Asian markets. But overall market conditions starting improving in late 2014, aided in part by several airlines deciding to slow expansion. 1H2015 saw a recovery in several markets, particularly Thailand’s international market. But not every market has recovered. For example Thailand’s domestic market continues to suffer from overcapacity and intense competition. This is reflected in the break-even result for Nok while the other three publicly-listed Thai carriers posted combined operating profits in 1H2015 of USD172 million. Nok is almost entirely a domestic operator while Bangkok Airways, Thai AirAsia and particularly Thai Airways have large international operations. While certainly brighter than a year ago, the outlook for the Southeast Asian airline sector is still relatively cloudy. Demand for travel to Thailand, the largest international market in Southeast Asia, will be impacted by the recent bombings in Bangkok. Indonesia, which is by far the largest domestic market, continues to see some economic weakness. The Philippines domestic market is also again starting to exhibit signs of overcapacity following a period of rationality and high levels of profitability. Several airlines are banking on market conditions improving from slower capacity growth and in some cases capacity reductions by competitors. But so far the Southeast Asian market remains highly competitive with continued downward pressure on yields. Nearly all of the 16 publicly traded airlines and affiliates reported declines in passenger yields in 1H2015. Several airlines are attempting to increase yields but this will be difficult to achieve given the continued intense level of competition. Airlines have benefited from lower fuel prices, which drove some of the improvements to operating profitability in 1H2015 despite the lower yields. But currency depreciation and hedges offset some of the gain from lower fuel prices. Several airlines saw lower net profits or were in the red at a net level due to foreign exchange, finance costs and other one-time items. 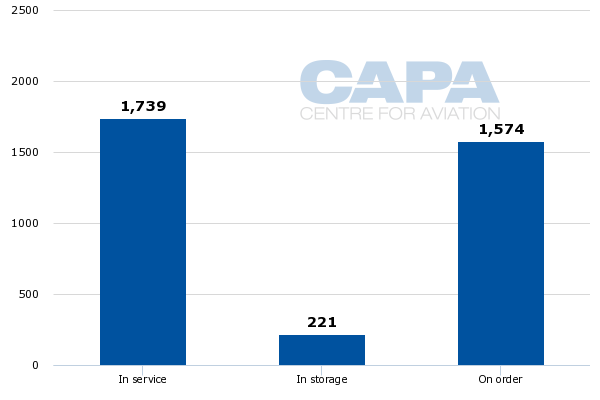 All five of the full-service airlines in the sample of 16 publicly traded airlines or affiliates were in the black in 1H2015, indicating there is still a role for full-service carriers in a region that has become increasingly dominated by LCCs. The LCC penetration rate within Southeast Asia is now almost 60%. Competition with and between LCCs will continue to intensify as LCCs account for over 70% of outstanding aircraft orders in Southeast Asia. Among all regions and sub-regions, Southeast Asia has the highest ratio of orders to current fleet (about 0.9). While the rate of capacity growth has slowed somewhat for the short-term following a spate of deferrals and subleases, the unprecedented high ratio of orders to current fleet indicates that overcapacity could be a challenge over the long-term. The fundamentals of the Southeast Asian market remain solid as the region is expected to continue to see rapid economic and middle class growth. But there is always a risk that supply can grow faster than demand or new unpredictable external factors emerge, impacting demand. If airlines are disciplined with capacity and fuel prices remain low, Southeast Asian airline profitability should continue to improve. But in the highly dynamic Southeast Asian market place it is hard imagine all airlines refraining from ambitious or strategic expansion. Meanwhile low fuel prices along with political and economic stability can never be guaranteed.